If you’ve opened instagram recently you’ve likely seen lots of spots. 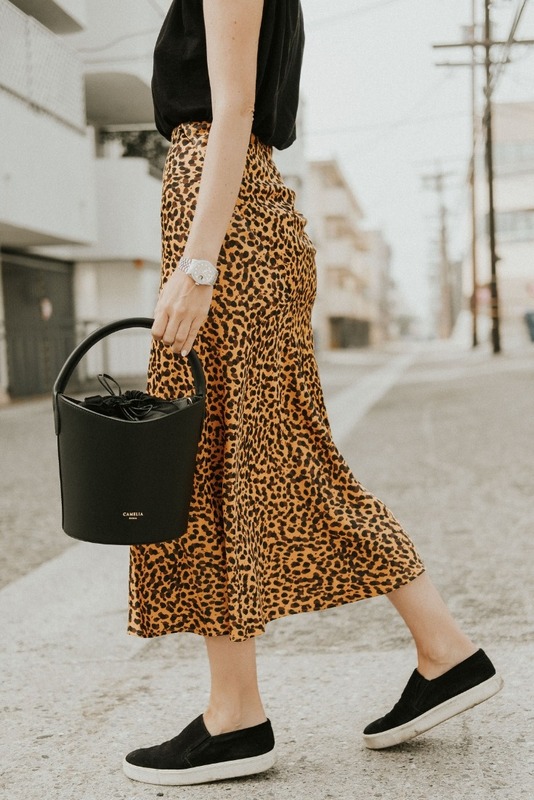 Leopard is pretty much everywhere this fall and it’s taken on various forms – skirts, blouses, shoes, etc. My favorite iteration is the silk midi skirt. To be frank, leopard can be quite tasteless and gauche (i.e.Peggy Bundy), so to keep my leopard more fash than flash I like to stick to muted hues and sophisticated shapes. For this particular look I wanted to go with something playful, but of course still somewhat modest, so I’ve paired the skirt with a black oversized tee, black slides, and a black bucket bag.